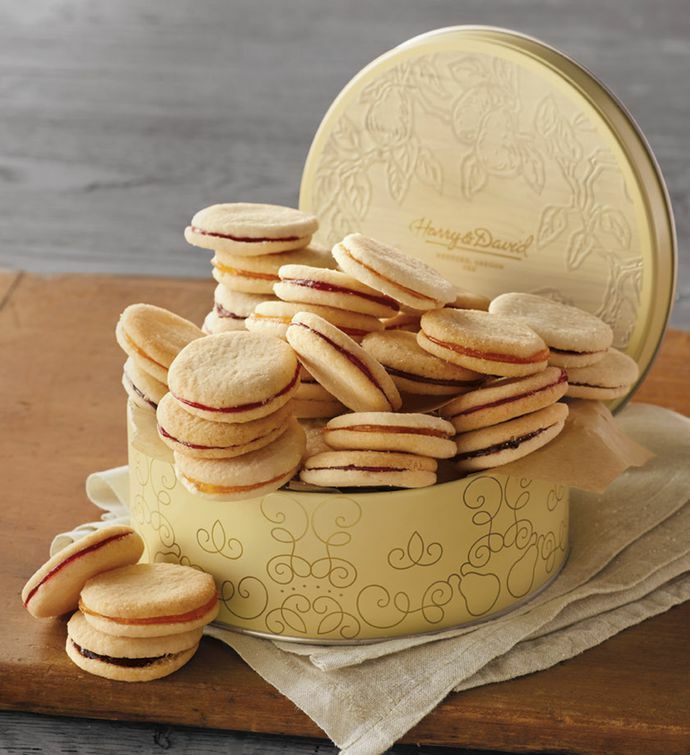 This keepsake tin brims with delicious galettes crafted with real butter in our own bakery. The rich cookies, each featuring raspberry, peach, or blackberry filling, pair wonderfully with coffee or tea. This tin makes a delightful gift or treat take one along to your next party to present to the hostess. With over two dozen of our signature cookies, there's plenty to share.